What: The BlueKai Connection will allow BlueConic customers to enrich the information in an existing BlueKai DMP account. The connection will feed segment or profile information from BlueConic to BlueKai. Why: BlueConic features a unique data collection engine that stores data at the customer level for known and anonymous users. Look-alike audiences and retargeting campaigns can be greatly improved through the use of this data. The unique site identifier in BlueKai. Enumerate the profile properties that contain email addresses, so they can be passed on as hashed values to BlueKai instead of as plain text. 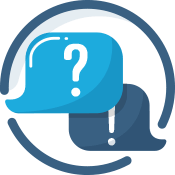 Enter the name of the variable in BlueKai that will hold the value sent by BlueConic.